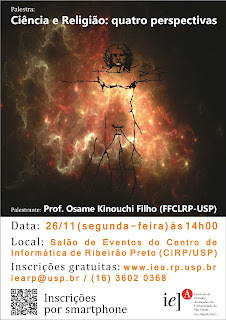 Home // Posts tagged "sociophysics"
Alguns amigos meus acreditam que se possa criar uma Ética a partir da Biologia (ou melhor, dos sentimentos empáticos de um mamífero hipersocial). Outros acham que a base seria a Razão, não as emoções. Os Objetivistas, uma espécie de seita filosófica hiperracionalista (tenho quase certeza que sua guru Ayn Rand sofria de Transtorno de Personalidade Esquizóide), acham que a primeira opção é simplesmente dar um verniz biológico à ética judaico-cristã e seus derivados seculares (onde se prioriza a cooperação em vez da competição). This article is from TOS Vol. 3, No. 3. The full contents of the issue are listed here. Os fatos dos últimos dias no Oriente Médio são apenas um alerta para futuros distúrbios à medida que a democratização da mídia no Ocidente se depara com o despertar político no mundo árabe. Os hoje marginalizados jovens do Facebook podem ter iniciado a Primavera Árabe, que desencadeou – alguns diriam “libertou” – vozes contrárias ao Ocidente e que durante muito tempo foram caladas por autocratas brutais. Mas agora é a vez do YouTube agitar a região. O trailer de um filme chamado A Inocência dos Muçulmanos colocou a região em chamas à medida que o filme se propaga na internet. Humans have a hard time dealing intuitively with these kinds of statistics. But in the last few decades statisticians have learnt how to handle them, provided that they have a reasonable body of statistical evidence to go on. That’s made it possible to make predictions about all kinds of phenomena governed by power laws, everything from earthquakes, forest fires and avalanches to epidemics, the volume of email and even the spread of rumours. In 1992, Bartholdi, Tovey, and Trick opened the study of control attacks on elections—attempts to improve the election outcome by such actions as adding/deleting candidates or voters. That work has led to many results on how algorithms can be used to find attacks on elections and how complexity-theoretic hardness results can be used as shields against attacks. However, all the work in this line has assumed that the attacker employs just a single type of attack. In this paper, we model and study the case in which the attacker launches a multipronged (i.e., multimode) attack. We do so to more realistically capture the richness of real-life settings. For example, an attacker might simultaneously try to suppress some voters, attract new voters into the election, and introduce a spoiler candidate. Our model provides a unified framework for such varied attacks, and by constructing polynomial-time multiprong attack algorithms we prove that for various election systems even such concerted, flexible attacks can be perfectly planned in deterministic polynomial time. More and more people rely on Web information and with the advance of Web 2.0 technologies they can increasingly easily participate to the creation of this information. Country-level politicians could not ignore this trend and have started to use the Web to promote them or to demote their opponents. This paper presents how candidates to a French mayor local election and with less budget have engineered their Web campaign and online reputation. After presenting the settings of the local election, the Web tools used by the different candidates and the local journalists are detailed. These tools are evaluated from a security point of view and the legal issues that they have created are underlined. Abstract: In this paper, we tackle the problem of innovation spreading from a modeling point of view. We consider a networked system of individuals, with a competition between two groups. We show its relation to the innovation spreading issues. We introduce an abstract model and show how it can be interpreted in this framework, as well as what conclusions we can draw form it. We further explain how model-derived conclusions can help to investigate the original problem, as well as other, similar problems. The model is an agent-based model assuming simple binary attributes of those agents. It uses a majority dynamics (Ising model to be exact), meaning that individuals attempt to be similar to the majority of their peers, barring the occasional purely individual decisions that are modeled as random. We show that this simplistic model can be related to the decision-making during innovation adoption processes. The majority dynamics for the model mean that when a dominant attribute, representing an existing practice or solution, is already established, it will persists in the system. We show however, that in a two group competition, a smaller group that represents innovation users can still convince the larger group, if it has high self-support. We argue that this conclusion, while drawn from a simple model, can be applied to real cases of innovation spreading. We also show that the model could be interpreted in different ways, allowing different problems to profit from our conclusions. Much work has been devoted, during the past twenty years, to using complexity to protect elections from manipulation and control. Many results have been obtained showing NP-hardness shields, and recently there has been much focus on whether such worst-case hardness protections can be bypassed by frequently correct heuristics or by approximations. This paper takes a very different approach: We argue that when electorates follow the canonical political science model of societal preferences the complexity shield never existed in the first place. In particular, we show that for electorates having single-peaked preferences, many existing NP-hardness results on manipulation and control evaporate. predictability of a soccer match. the probability of a misleading result is significant. Em termos de esportes, é bem conhecida a fascinação dos americanos por estatísticas. Neste blog do New York Times você pode encontrar dados estatísticos minuto a minuto das partidas da Copa. Muito interessante… para um físico estatístico. Idéia para um paper: claramente as estatísticas para intervalos entre posse de bola, chutes a gol, escanteios e faltas não seguem uma distribuição de Poisson, mas lembram uma distribuição com lei de potência (com cut-off de 45 min, claro!) ou talvez uma log-normal. Para um exemplo, veja as estatísticas do jogo Uruguai vs França aqui. Dá para entender algo disso: a probabilidade de um escanteio seguir outro é alta e, quando um time está pressionando outro, os chutes a gol podem sair em sequência (não está claro a origem da distribuição não uniforme de faltas). Na verdade, existem boas razões para se acreditar que o jogo de futebol não é Markoviano nem estacionário. Mas então, seria possível modelar (gerar) essas distribuições de modo simples? Idéia: Coletar estatísticas desse blog (usando o Match Analysis?) e mostrar que essas distribuções não são Poisson. Daí propor um modelo que gere essas distribuições. In science, sociophysics is the study of social phenomena from a physics perspective. The subject seems to deal with thermodynamics in part; albeit, the majority of theories in this field seem to be on statistical extrapolations or phase transition models. References1. Galam, Serge. (2004). “Sociophysics: a Personal Testimony.”, Laboratory of Heterogeneous and Disorderly Environments, Paris. Arxiv.org. 2. Sociophysics – International Workshop, ISI Foundation, Torino, Italy, 26-29 May 2008. 3. Arnopoulos, Paris. (2005). Sociophysics: Cosmos and Chaos in Nature and Culture (thermics, pgs. 26-31). Nova Publishers, 1993 first edition. ● Chakrabarti, Bikas K. Chakraborti, Anirban, and Chatterjee, Arnab. (2006). Econophysics and Sociophysics: Trends and Perspectives. Wiley-VCH. É uma estranha coincidência que o livro de Charles Galton Darwin (The Next Million Years) tenha surgido quase simultaneamente com o clássico Fundação de Isaac asimov. Será que houve influência mútua? Foundation was originally a series of eight short stories published in Astounding Magazine between May 1942 and January 1950. According to Asimov, the premise was based on ideas set forth in Edward Gibbon‘s History of the Decline and Fall of the Roman Empire, and was invented spontaneously on his way to meet with editor John W. Campbell, with whom he developed the concept. The first four stories were collected, along with a new story taking place before the others, in a single volume published by Gnome Press in 1951 as Foundation. The remainder of the stories were published in pairs as Foundation and Empire (1952) and Second Foundation (1953), resulting in the “Foundation Trilogy”, as the series was known for decades. In 1981, after the series had long been considered one of the most important works of modern science fiction, Asimov was persuaded by his publishers to write a fourth book, which became Foundation’s Edge (1982). Two years later, Asimov followed up with yet another sequel, Foundation and Earth (1983), and five years later, the prequels Prelude to Foundation and Forward the Foundation. During the lapse between writing the sequels and prequels, Asimov tied in his Foundation series with his various other series, creating a single unified universe of his best-known works. For the study of the psychological motivation of historical and current events, see psychohistory. Psychohistory, a fictional science in Isaac Asimov‘s Foundation universe, combines history, sociology, and mathematical statistics to make (nearly) exact predictions of the collective actions of very large groups of people, such as the Galactic Empire. that Human Beings are the only sentient intelligence in the Galaxy. A recente queda do IBOVESPA de 19.9% desde seu record histórico foi prevista por Didier Sornette? There are good reasons to think that stock markets are fundamentally unpredictable. Many econophysicists believe for example, that the data from these markets bear a startling resemblance to other data from seemingly unconnected phenomena, such as the size of earthquakes, forest fires and avalanches, which defy all efforts of prediction. Some go as far as to say that these phenomena are governed by the same fundamental laws so that if one is unpredictable, then they all are. And yet financial markets may be different. Last year, this blog covered an extraordinary forecasts made by Didier Sornette at the Swiss Federal Institute of Technology in Zurich, who declared that the Shanghia Composite Index was a bubble market and that it would collapse within a certain specific period of time. Much to this blog’s surprise, his prediction turned out to be uncannily correct. Sornette says there are two parts to his forecasting method. First, he says bubbles are markets experiencing greater-then-exponential growth. That makes them straightforward to spot, something that surprisingly hasn’t been possible before. Second, he says these bubble markets display the tell signs of the human behaviour that drives them. In particular, people tend to follow each other and this result in a kind of herding behaviour that causes prices to fluctuate in a periodic fashion. However, the frequency of these fluctuations increases rapidly as the bubble comes closer to bursting. It’s this signal that Sornette uses in predicting a change from superexponential growth to some other regime (which may not necessarily be a collapse). That’s when Sornette announced an brave way of test his forecasting method which he calls the Financial Bubble Experiment. His idea is to make a forecast but keep it secret. He posts it in encrypted form to the arXiv which time stamps it and ensures that no changes can be made. Then, six months later, he reveals the forecast and analyses how successful it has been. Today, we can finally see the analysis of his first set of predictions made 6 months ago. Back then, Sornette and his team identified four markets that seemed to be experiencing superexponential growth and the tell tale signs of an imminent bubble burst. These predictions had mixed success. First let’s look at the failures. Sornette says that it now turns out that the Merill Lynch Index was in the process of collapse when Sornette made the original prediction six months ago. So that bubble burst long before Sornette said it would. And cotton futures are still climbing in a bubble market that has yet to collapse. So much for those forecasts. However, Sornette and his team were spot on with their other predictions. Both the IBOVESPA Index and the spot price of gold changed from superexponential growth to some other kind of regime in the time frame that Sornette predicted. That’s an impressive result by anybody’s standards. And the team says it can do better. They point out that they learnt a substantial amount during the first six months of the experiment. They have used this experience to develop a tool called a “bubble index” which they can use to determine the probability that a market that looks like a bubble actually is one. This should help to make future forecasts even more accurate. Had this tool been available six months ago, for example, it would have clearly showed that the Merrill Lynch index had already burst, they say. If Sornette continues with this type of success it’s likely that others will want to copy his method. An interesting question is what will happen to the tell tale herding behaviour once large numbers of analysts start looking for and betting on it. It’s tempting to imagine that this extra information would have a calming effect on otherwise volatile markets. But the real worry is that it could have exactly the opposite effect: that predictions of the imminent collapse whether accurate or not would lead to violent corrections. That will have big implications for econophysics and those who practice it. Either way, Sornette is continuing with the experiment. He has already sealed his set of predictions for the next six months and will reveal them on 1 November. We’ll be watching. 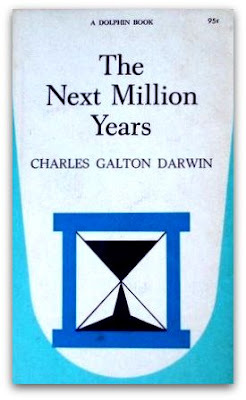 In famous publication, The Next Million Years is a 1952 book written by C.G. Darwin notable as being the first-ever published document outlining a theory using the terms “human thermodynamics” and “human molecule” in unison. Original copies sell for as much as $395 dollars. The book was reprinted in 1953 and 1973. The Next Million Years is one of the founding books in the history of human thermodynamics. 1. Darwin, Charles G. (1952). The Next Million Years (chapter one). London: Rupert Hart-Davis. 2. Staff Writer. (1953). “Million-Year Prophecy”. Time, Monday, Jan. 19. ● Bates, Marson. (1954). “Reviewed work: The Next Million Years by Charles G. Darwin.” American Anthropologist, New Series, Vol. 56, No. 2, Part. 1. Apr. pg. 337. In science, social physics is the study of social systems and social phenomena from the perspective of physics. When French social philosopher Auguste Comte, who had also used the term social physics, in his 1842 work, discovered that Quetelet had appropriated the term ‘social physics’ prior to him, Comte found it necessary to invent the term ‘sociologie’ (sociology) because he disagreed with Quetelet’s collection of statistics. In the opening page to his Social Physics, Comte gives the following situation: “The theories of social science are still, even in the minds of the best thinkers, completely implicated with the theologico-metaphysical philosophy (which he says is ‘in a state of imbecility’); and are even supposed to be, by a fatal separation from all other science, condemned to remain so involved forever.” It is interesting, how in the year 2010, the same dogmatic view remains. 1. (a) Ball, Philip. (2004). Critical Mass – How One Things Leads to Another, (pg. 58). New York: Farrar, Straus and Giroux. (b) Nisbet, Robert A. (1970). The Social Bond – an Introduction to the Study of Society, (pg. 29). New York: Alfred A Knopf. 2. Buchanan, Mark. (2007). The Social Atom – why the Rich get Richer, Cheaters get Caught, and Your Neighbor Usually Looks Like You, (pgs. x-xi). New York: Bloomsbury. 3. Ball, Philip. (2004). Critical Mass – How One Things Leads to Another (pgs. 71-72). New York: Farrar, Straus and Giroux. 4. Comte, Auguste. (1856). Social Physics: from the Positive Philosophy. New York: Calvin Blanchard. 5. (a) Quetelet, Adolphe. (1835). Essay on Social Physics: Man and the Development of his Faculties (Sur l’homme et le Développement de ses Facultés, ou Essai de Physique Sociale, Vol. 1, Vol. 2). Paris: Imprimeur-Libraire. ● Foley, Vernard. (1976). The Social Physics of Adam Smith (thermodynamics, pgs. 191-94; entropy, pg. 199). Purdue University Press. ● Iberall, A.S. (1985). “Outlining Social Physics for Modern Societies: Locating Cultures, Economics, and Politics: the Enlightenment Reconsidered.” (abstract), Proc Natl Acad Sci USA, 82(17): 5582-84. ● Mirowski, Philip. (1989). More Heat than Light: Economics as Social Physics, Physics as Nature’s Economics. Cambridge University Press. ● Physics of Society – A collection of articles by English chemist and physicst Phillip Ball. Parodiando Engels, “todo economista vivo é escravo de um físico morto”. A questão não é se novas idéias e conceitos físicos podem ser aplicados às ciências econômicas e sociais, mas por que os velhos conceitos da física newtoniana (“equilíbrio”, “forças” econômicas, “tensão” social etc.) permanecem no discurso sócio-econômico. This article is a follow-up of a short essay that appeared in Nature 455, 1181 (2008) [arXiv:0810.5306]. It has become increasingly clear that the erratic dynamics of markets is mostly endogenous and not due to the rational processing of exogenous news. I elaborate on the idea that spin-glass type of problems, where the combination of competition and heterogeneities generically leads to long epochs of statis interrupted by crises and hyper-sensitivity to small changes of the environment, could be metaphors for the complexity of economic systems. I argue that the most valuable contribution of physics to economics might end up being of methodological nature, and that simple models from physics and agent based numerical simulations, although highly stylized, are more realistic than the traditional models of economics that assume rational agents with infinite foresight and infinite computing abilities. Publicaram antes a minha idéia (e a do Dante Chialvo tamém)! Quando Tiago estava trabalhando em seu mestrado, ele veio para a LASCON – Latin American School of Computational Neuroscience, em julho de 2008. Na cantina do Walter, Roque lembra que discutimos a questão do subsampling em sistemas críticos (inclusive com esta palavra). Sugeri ao Tiago que fizesse uma simulação em um sistema simples (por exemplo, a rede aleatória excitável que Mauro e eu trabalhamos em 2006, o modelo OFC (que tem relações com modelos de neurônios integra dispara) ou mesmo um modelo de pilha de areia tradicional. Alguns meses mais tarde, Chialvo deu a mesma idéia para Tiago e Mauro (e fez questão de anotar em um guardanapo a a idéia, a data e as pessoas presentes, e pediu para todos assinarem!). Não sei se ele usou a palavra subsampling, acredito que sim. Desta vez, Tiago acreditou na idéia (o meu problema é que santo de casa não faz milagre…) e fez as simulações. Batata: subsampling em sistemas críticos gera distribuições que fogem às leis de potência, ficam mais parecidas com log-normais ou exponenciais extendidas. © 2009 Priesemann et al; licensee BioMed Central Ltd. Many systems in nature are characterized by complex behaviour where large cascades of events, or avalanches, unpredictably alternate with periods of little activity. Snow avalanches are an example. Often the size distribution f(s) of a system’s avalanches follows a power law, and the branching parameter sigma, the average number of events triggered by a single preceding event, is unity. A power law for f(s), and sigma = 1, are hallmark features of self-organized critical (SOC) systems, and both have been found for neuronal activity in vitro. Therefore, and since SOC systems and neuronal activity both show large variability, long-term stability and memory capabilities, SOC has been proposed to govern neuronal dynamics in vivo. Testing this hypothesis is difficult because neuronal activity is spatially or temporally subsampled, while theories of SOC systems assume full sampling. To close this gap, we investigated how subsampling affects f(s) and sigma by imposing subsampling on three different SOC models. We then compared f(s) and sigma of the subsampled models with those of multielectrode local field potential (LFP) activity recorded in three macaque monkeys performing a short term memory task. PS: Promessas para o futuro: 1) Levar bloco de notas e caneta na cantina do Walter. 2) Fazer eu mesmo as simulações, pelo menos os resultados provisórios. 3) Aprender com o Chialvo. PS2: O fato de a mesma palavra (não tão comum) ser usada no mesmo contexto me sugere que alguém conversou no cafezinho com alguém, que conversou no cafezinho com alguém, que conversou no cafezinho com a Viola Priesemann. A rede social da ciência tem grau médio de separação igual a 3 ou 4. Isso é um perigo!Quem será que foi que não manteve a boca fechada? Muito provavelmente, fui eu mesmo… Ou então, é mais um caso de descoberta simultânea. Porque os físicos estatísticos computacionais são tão espertos? “Physicists pretend not only to know everything, but also to know everything better. This applies in particular to computational statistical physicists like us”. These are the very first two sentences of the book reviewed here. In a nutshell, the authors point the reader at their position on approaching phenomena as diverse as biological aging and speciation (chapters 3, 4), languages (chapter 5) or earthquakes (chapter 7). What is special about Biology, Sociology, Geology by Computational Physicists? First of all the fact that the authors approach these topics without the burden of frameworks and know how, immanent to these disciplines. Thus, compared to the predominant doctrine, they exhilarate the reader with a fresh, diametrical and sometimes odd perspective. 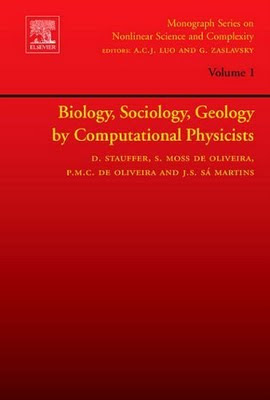 In this respect, the authors follow their predecessor book Evolution, Money, War and Computers, where also a plethora of topics in various scientific disciplines is explored. Common to both books, statistical physics and computer simulations are creatively used to explain the most diverse phenomena. While the predecessor book had a strong bias towards biological aging, the new one treats the different subjects more equally. Albeit, in-depth analysis of the topics discussed is not the authors intention. They rather prefer a reductionistic, sometimes a somewhat superficial way of presenting the problem under consideration, with a strong bias towards their own toy models. The KISS (“Keep it simple and stupid”) principle flourishes throughout the book, which is good and bad at the same time. It is good because their computer simulations allow the reader to get a first insight into the dynamics of a model without being fed with all details. In many cases, this seems to be a good starting point for further investigations, and scientists obsessed with the idea of putting as much as possible into their computer simulations could be impressed by the results obtained already from basic models. The downside of that approach, as always with the KISS principle, is the pitfall of oversimplification. 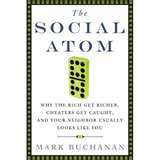 For the social scientist, the models discussed in Chapter 6 “Social Science” could be of special interest. Here, the topics range from retirement demography, self-organization of hierarchies and opinion dynamics to traffic jams, networks, social percolation and legal physics (each with a special subsection, about 50 pages in total). Again, compactness and boldness in interpretation is a trademark of the authors style. In chapter 6.2 for example they give insights into the self-organization of social hierarchies in mere four pages. More specifically, they extend one particular model, the Bonabeau model, and courageously interpret the simulation results – a two dimensional curve – as the “transition from the more egalitarian nomadic society to agricultural life with property of land, cities and nobility” (188). Different chapters vary in difficulty and compactness, though. Thus, even the unprepared reader will find chapters accessible to him. 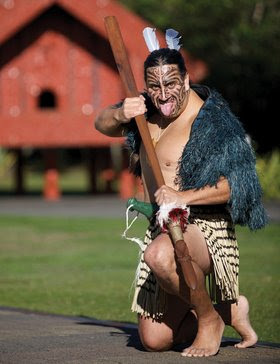 In general the book is aimed at those who are to some extend familiar with the disciplines discussed. Some technical terms or concepts such as “Hamming Distance” or “Diploid” should ring a bell, as they are only very briefly outlined. As long as one is not too much interested in the theories underlying the specific models, the book gives a short, but mostly entertaining view of a variety of current topics from different disciplines. Another positive aspect of the book is the appendix chapter, which provides a rich pool of lean Fortran program listings related to the topics discussed in the different chapters. These listings shall “encourage readers to start their own simulation” as the authors point out and they are in fact quite simple to understand. The reference section impresses as a rather complete list of papers mainly from the field of interdisciplinary physics. On a second glimpse, one realizes that the list is only of limited use because no titles of the papers are given at all (if only to give a hint about their content) and the reader has to be familar with the partially cryptic abbreviaton of the journal names from various fields. All in all, Biology, Sociology, Geology by Computational Physicists is a book for the open minded reader and the connoisseur of interdisciplinary physics. They will, in particular, like the fresh and homourous, sometimes ironic style in which the authors comment about their own research and may obtain hints for further research. So, to quote the authors at the very end: “keep our minds open, without demanding immediate large-scale applications”. A dar uma olhada. Isso parece contar a história da polarização ideológica nos EUA e uma polarização similar, em menor escala, no Brasil. 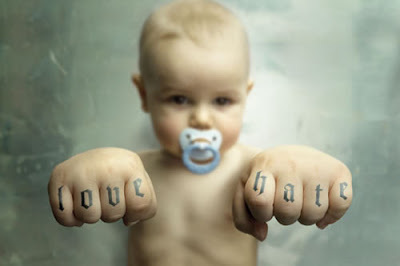 We report our recent simulations on the social processes which — in our opinion — lie at the bottom of hate. First simulation deals with the so-called Heider balance where initial purely random preferences split the community into two mutually hostile groups. Second simulation shows that once these groups are formed, the cooperation between them is going to fail. Third simulation provides a numerical illustration of the process of biased learning; the model indicates that lack of objective information is a barrier to new information. Fourth simulation shows that in the presence of a strong conflict between communities hate is unavoidable. A guerra na Pré-História era frequente e altamente letal, mas essa luta constante está ligada ao surgimento de comportamentos altruístas na espécie humana. E quando os grupos humanos atingiram determinado tamanho, criava-se o potencial para uma revolução no comportamento e na cultura. É o que indicam dois estudos publicados na edição de hoje da revista científica “Science”. Samuel Bowles, do Instituto Santa Fé (EUA) e da Universidade de Siena (Itália), usou dados arqueológicos e etnográficos sobre populações de caçadores-coletores e mostrou que a mortalidade produzida pelos conflitos poderia ter promovido a predisposição para ajudar membros de grupos não diretamente aparentados. O guerreiro “altruísta” é aquele que está disposto a sacrificar a vida em prol da sobrevivência do grupo.Mas quão precisas são as estimativas de populações pré-históricas, ou da mortalidade das guerras mais remotas? “É surpreendente –e um pouco reconfortante– que os conjuntos de dados etnográficos e arqueológicos resultem em quase a mesma estimativa -14% de mortalidade”, disse Bowles à Folha. Já os pesquisadores Adam Powell; Stephen Shennan e Mark Thomas, do University College, de Londres, afirmam que o tamanho das populações explicaria o motivo de comportamentos socioculturais modernos terem surgido na África há 90 mil anos, desaparecido há 65 mil anos e ressurgido na Europa 45 mil anos atrás. “Por comportamento moderno, nós queremos dizer um salto radical em complexidade cultural e tecnológica, que torna nossa espécie única. 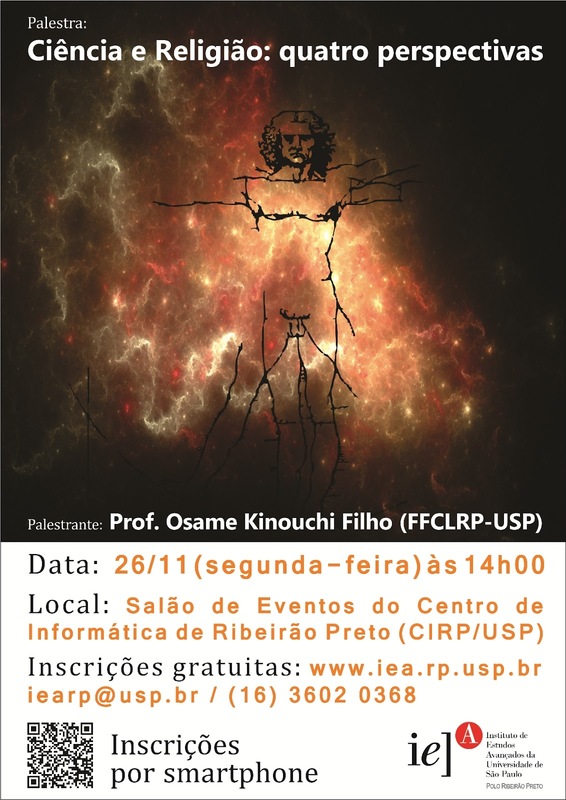 Isso inclui comportamento simbólico, como arte abstrata e realista, decoração corporal usando contas, ocre ou kits de tatuagem; instrumentos musicais, artefatos de osso, chifre e marfim; lâminas de pedra e tecnologia de caça mais sofisticada, como arcos, bumerangues e redes”, afirma Powell. Em geral, os pesquisadores especulavam que essa revolução cultural tivesse surgido por conta do aumento do cérebro humano. Mas os autores lembram que esse comportamento só surgiu cerca de 100 mil anos depois de ter aparecido o ser humano anatomicamente moderno, e que em alguns casos as inovações foram perdidas. Ruth Mace, também do University College, de Londres, discutiu as duas pesquisas em artigo também na edição de hoje da “Science”. “Os dois estudos sugerem que a estrutura demográfica das nossas populações ancestrais determinava como a evolução social procederia”, diz Mace. “Definir altruísmo também é sempre problemático. Aqui ele é definido como um comportamento que ajuda o grupo, mas que pode ser custoso ao indivíduo”, disse Mace à Folha. Bowles diz que procurou usar dados apenas sobre populações de caçadores-coletores que não faziam grande uso de animais ou plantas domesticados, pois ele queria manter o foco sobre as condições que existiam há 100 mil anos, e não há 10 mil, quando a agricultura e a pecuária já existiam. Ficaram de fora, assim, dados sobre a guerra entre os índios Yanomami da fronteira Brasil-Venezuela, “o povo feroz”. “O outro artigo é consistente com o meu trabalho. Mas a questão é muito diferente. Uma população mais densa não apenas cria oportunidades para troca, mas também para conflitos”, comenta Bowles.